Curiosity and satisfaction are intertwined at this hole. It is one of the most beautiful at Salobre Old. Views are spectacular from the starting tee. You need to be confident and not fear that the ball will sadly be devoured by the cliff so you can cover the almost 170 metres to the green. Once at the green, your talent with the putter will give you a successful par. 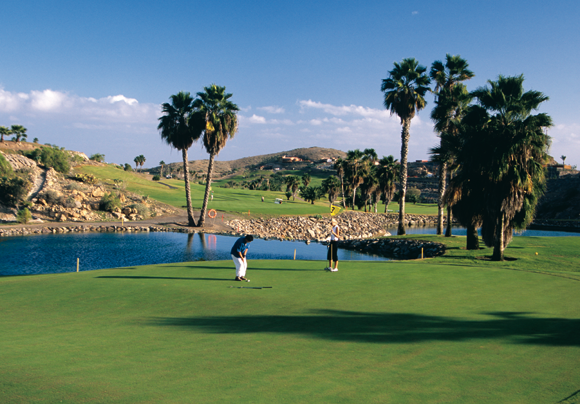 Designed by Ron Kirby, Salobre New is not comparable with the rest of the courses in the Canary Islands. 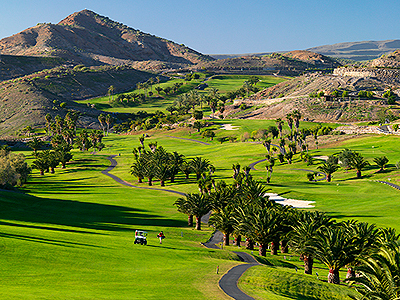 Its unequalled course has been designed to fit into its volcanic rock surroundings, making it a new type of challenge. 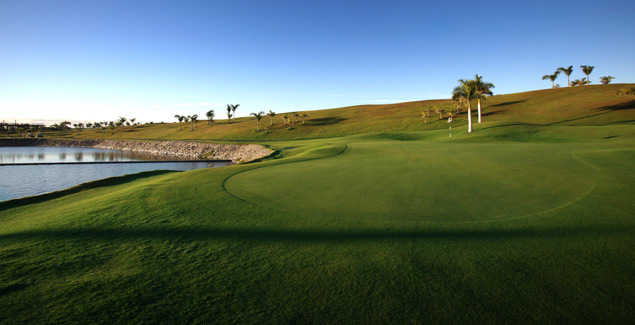 There is no doubt that hole nº5 is the hole par excellence that represents the New Course; you feel it when approaching the tee. A dogleg to the right, a drive sails over this beautiful canyon of volcanic rock towards a wide fairway where the ball lands. It will give you a feeling of satisfaction because of the achievement. A second stroke with a half-long iron to approach a very narrow and well-protected green. Achieving par is an excellent result at this hole. 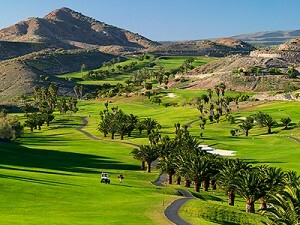 The 2 golf courses offered in this package are based in the Salobre Golf Resort (South & North).